America, Land of the Brave, Home the Free. America is a place of extremities and sphere of Paradox to all. America offers Hope and Disappear, Slavery and Freedom, Revolution and Change and the melting pot of nations. 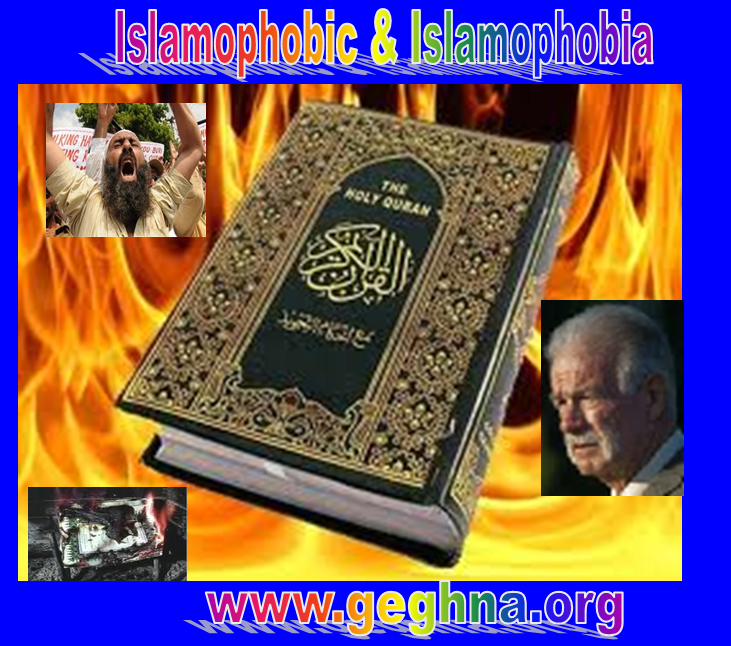 The country of Terry Jones, “A Quran Judge” where shamefully burned the Holy Book of Islam, not far from his eventual future residence for abnormal men- South Florida State Mental Hospital. He is out of his mind! He found his sense for a few month and halted his crazy plans to burn a Quran on the 9/11 anniversary last year. He finally lost his nerve and oversaw the burning of the Islamic holy book on Sunday after he so called found it «guilty” during a mock «trial” at his so called “church” rather a plate form of extremism and intolerance. Today is the Quran tomorrow what… who? Terry forgot one thing important to all of us that whatever happens in America, good or bad affects the whole planet – like 9/11 or a preacher of hope like the Great speech of Dr. Martin Luther King Jr. ” I have A Dream”… But Terry Jones is a preacher of night mare and destruction. It is hard to generalize America from Terry Jones or Dr. King one has to comprehend how the dream of the founding father took the spirit of others even across the Atlantic reaching to our time. Last year’s aborted event provoked criticism from U.S. religious leaders, violent protests abroad and pressure from President Obama and Secretary of Defense Robert Gatesbefore Jones called it off. After a six-hour crazy trial on Sunday that featured a Christian convert from Islam as a prosecuting attorney and a Dallas imam as a defense lawyer, a jury of 12 church members and volunteers made the judgment , Jones said. He said the punishment — burning the book after it had been soaked in kerosene for an hour He said “several hundred” were polled and voted for burning over shredding, drowning and facing a firing squad. Jones considered the burning — which was conducted by another pastor since Jones was serving as the judge — a one-time event. “That is not our intention, to run around America burning Qurans,” he said. Jones has launched a new organization, Stand up America, and plans to protest the Quran, Sharia law and “radical Islam,” and has scheduled an April event in front of an Islamic center in Dearborn, Mich. Such an act will not help intera religion relation globally and will drag the already weaken American image to ashes in Islamic world. Today non western Muslims are blaming and manifesting against the US for letting such insane person play with their Holy Book as seen in Afghanistan, a country where many American and collation lives are put in arms way in daily basis. Furthermore, the Western Muslims has been engaged in double sociological dilemma since 9/11 in general. Firstly they are confronting a new expanding era of Islamophobia. Secondly they are fighting their Islamic conscious in daily basis, due to the more and more constraint of their spiritual and cultural life to their personal residences or legal worship centers and Mosques.